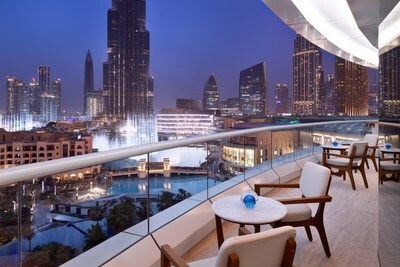 DUBAI, United Arab Emirates, March 27, 2019 /PRNewswire/ -- Emaar Hospitality Group, the hospitality and leisure business of Emaar Properties PJSC, has announced exceptional value Dubai stopover packages at its Address Hotels + Resorts, and Vida Hotels and Resorts. The package is also applicable at Rove Hotels, a joint venture of Emaar Properties and Meraas. Visitors stopping for 12 hours in Dubai receive a package that includes two complimentary tickets to Dubai Aquarium & Underwater Zoo and At The Top, Burj Khalifa, plus airport transfers from Dubai International Airport and preferential rates at the participating hotels. One can also stay for 24 hours in Dubai at one of the deluxe rooms to additionally indulge in complimentary breakfast and access thrilling destinations. Olivier Harnisch, CEO of Emaar Hospitality Group, said: "Whether you're flying to Dubai or just passing through, take advantage of our stopover packages. Experience famous entertainment and leisure attractions with our 12, 24, 48 and 72-hour stay Dubai stopover packages." Book the 48-hour stopover experience for a two-night stay in Dubai. Breeze straight through the airport to the booked hotel for two nights in a deluxe room including breakfast. Explore marine life with two tickets to Dubai Aquarium & Underwater Zoo. Connect with one's wild side with incredible sensory experiences and two tickets to the VR Theme Park. 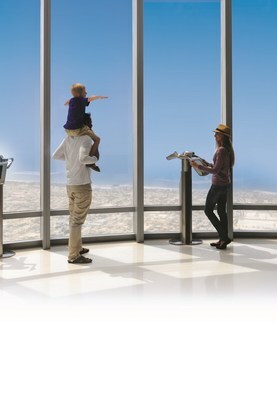 Step out onto the world's highest observation deck of the iconic landmark with two At The Top, Burj Khalifa tickets. Spend a few days exploring Dubai before one's onward journey and stopover for 72 hours for an exclusive three-night stay in a deluxe room with breakfast. Enjoy complimentary access to a private beach and an exciting array of nearby must-see attractions such as Dubai Aquarium & Underwater Zoo, At The Top, Burj Khalifa and VR Theme Park for two people. The stopover packages are valid from April 1 until December 25, 2019 at Address Downtown, Address Dubai Mall, Address Dubai Marina, Address Montgomerie, Address Boulevard, Palace Downtown, and the soon to open Address Fountain Views and Address Sky View; Vida Downtown, Manzil Downtown, and the soon to open Vida The Hills and Vida Harbour Point as well as Rove Hotels including Rove Downtown, Rove City Centre, Rove Healthcare City, Rove Trade Centre, Rove Dubai Marina and the soon to open Rove At The Park. Book on addresshotels.com, vidahotels.com or rovehotels.com.